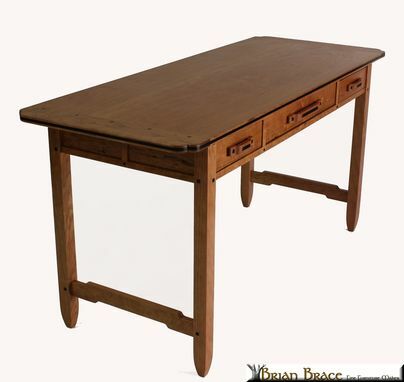 Greene and Greene is a distinctive style popular in the Arts and Crafts movement. 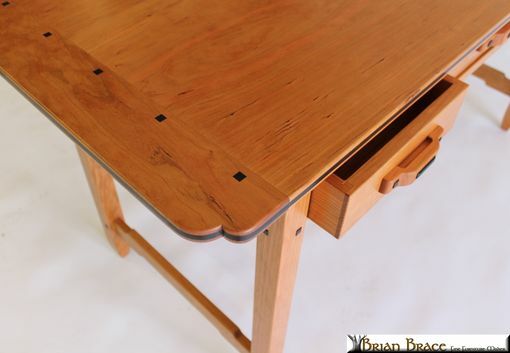 This desk displays the key elements of the style such as: curves in the wood top cut in the "cloud lift " style and "dancing peg joinery". 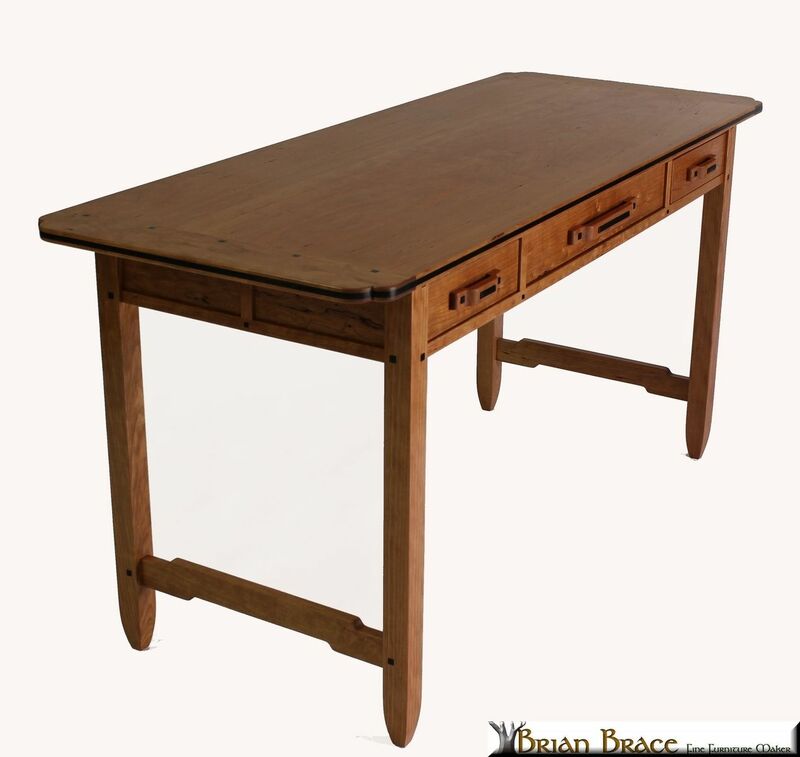 This Greene and Greene Desk is constructed out of Cherry and Ebony. This piece, along with many of my pieces, can be built in different wood species to suit your needs. 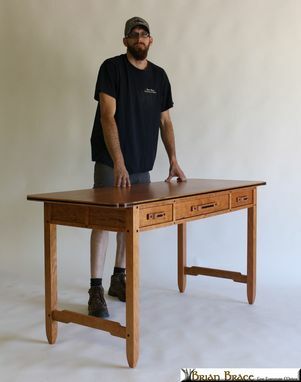 This Greene and Greene Desk is featured the 2012 summer issue of Arts and Craft Homes and The Revival art and craft section!